Shinzo Abe vs the Bank of Japan. I wrote at the end of the November about Shinzo Abe’s prospects for shaking Japan out of its economic dolrums, and since Election Day in Japan it seems to be working. The yen’s been falling on rumors of monetary easing, and the Nikkei put up a week of gains. Then there were two days of givebacks but Christmas and today have seen a return to form—yen falling, Nikkei rising with Abe officially sworn in today and making it clear that he will force the Bank of Japan to ease and produce inflation if necessary. Scanning Google News I note that most of the western press is focusing on Abe’s hawkish foreign policy views rather than his dovish monetary ones. To get a bit speculative, I think there may be a conncection here. Observationally, it seems that fat and happy political establishments have an irrational preference for slow growth, tight money, and balanced budgets. From time to time sheer economic desperation will give us a Junichiro Koizumi or a Franklin Roosevelent but Koizumi didn’t last and FDR plunged the country back into recession in 1937 with contractionary policy. Foreign policy crisis is the main thing that drives a national establishment toward heterodoxy and growth. Nobody tried to finance either world war on a sound money basis, and in most respects Keynesian theory followed wartime practice rather than vice versa. And during the Cold War it was very important to elites in the United States and Western Europe to not merely establish that market capitalism could push the production possibility frontier outwards, but that it would actually deliver sustained improvements in living standards and an approximation of full employment. 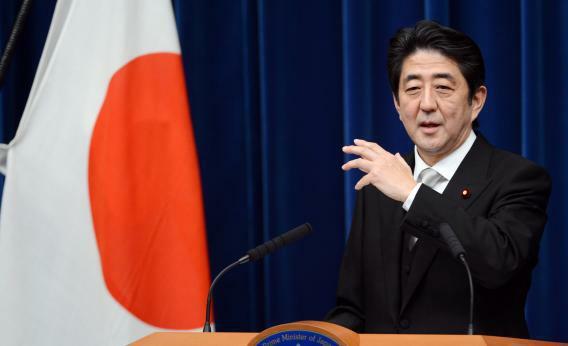 A perception that between a fast-growing China and a possibly-retrenching USA, Japan is facing a growing national security crisis is exactly the kind of thing that can rouse a country from its dogmatic slumbers.